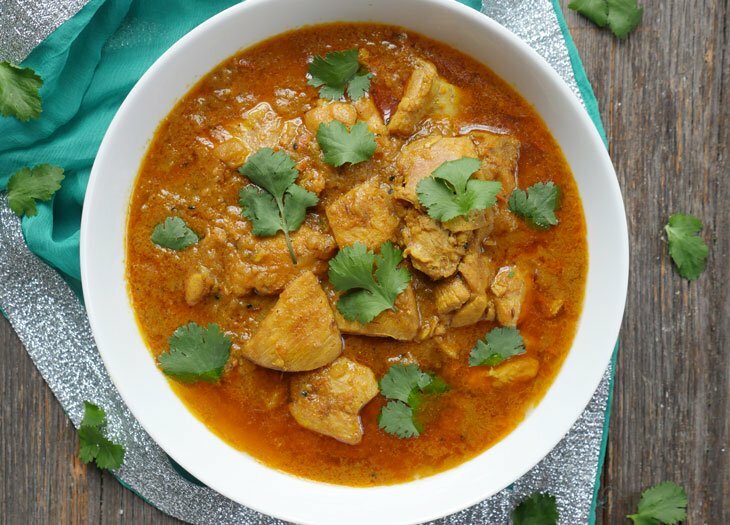 This chicken curry is made with spices that are typically used to make Indian pickles, also known as achar. It’s a very flavorful and aromatic curry. Like many Indian dishes, this curry will taste even better the next day when you eat the leftovers. Press the sauté button, add the oil and allow it to heat up for a minute. Add the cumin seeds and once they brown, add the bay leaf and onions. Stir-fry for 6-7 minutes, or until the onions begin to brown. Add garlic, ginger, spices and stir briefly. Add the chicken and give everything a good mix so that the chicken is well coated with the spices. Add the pureed tomatoes and cook for 5 minutes, stirring occasionally. Then add the water.